RM Hotel is located at a distance of approximately 1 km from Mansa Railway Station and 1 km from Mahavir Temple. 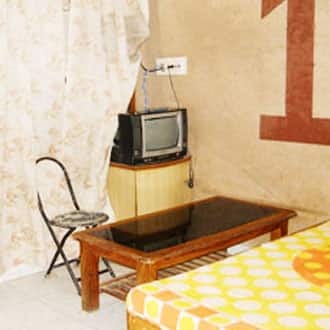 This hotel offers breakfast services to their guests.This hotel in Mansa has 6 rooms on 2 floors and offers room comforts such as a television and an attached bathroom.RM Hotel has a front desk, laundry and a room service.Mansa Bus Stop is 1 km and Bathinda Airport is 83 km away from this hotel in Mansa. Places of interest include Mini Gurudwara (16 km) and Thakur Dwara Temple (17 km). No refund if you cancel this booking later than 01-May-19 12:00 PM IST. Non A/C Room offers a television and an ensuite bathroom. It was a decent place to stay, the best thing was the location at which it is situated. The property is also decent and more than average i would say, rooms were big and nice. Staff was good and helpful too. Positives: Hotel Plaza is an more than OK hotel. Its not that close to Bus stand and Train station, but located just at an offset of the main road. The food is alright. The rooms are big and spacious at very affordable rates. The staff is helpful. They even gave me tips to travel at Kapurthala. Negatives Hot water is an issue here. You need to call the reception to turn on the Geyser. Also if you have to leave really early (before 7am), nothing is open at this place. Was a task in itself to get tea and asking someone to turn on the geyser in the morning! Reaching hotel is problem. Even the Hotel entrance is ok ok. First impression is not last. Room are quit good. Food is also ok. U can have a comfortable stay in jalandhar but they this can be your second preference but if your budget is les than 1000INR they go for it.